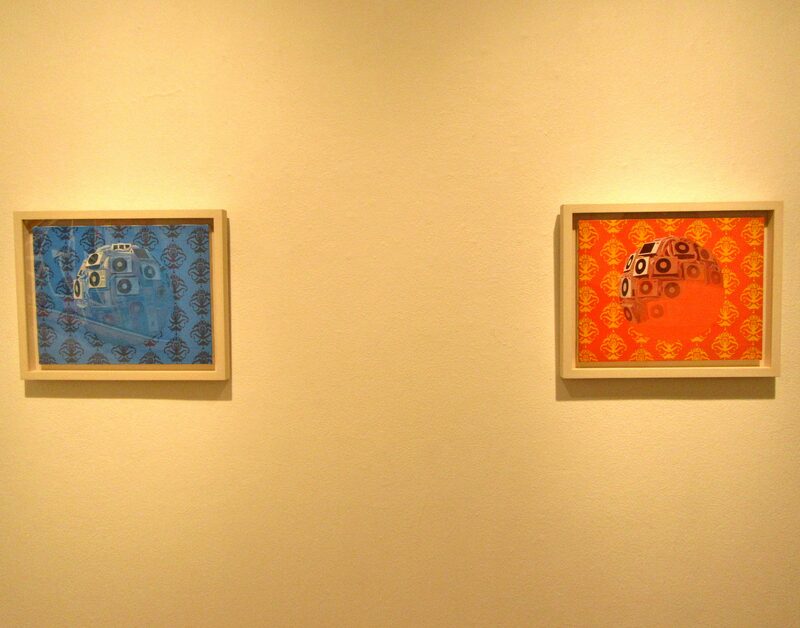 Jonathan LeVine Gallery is currently hosting External Effect, a series of new works by Japanese artist Masakatsu Sashie. 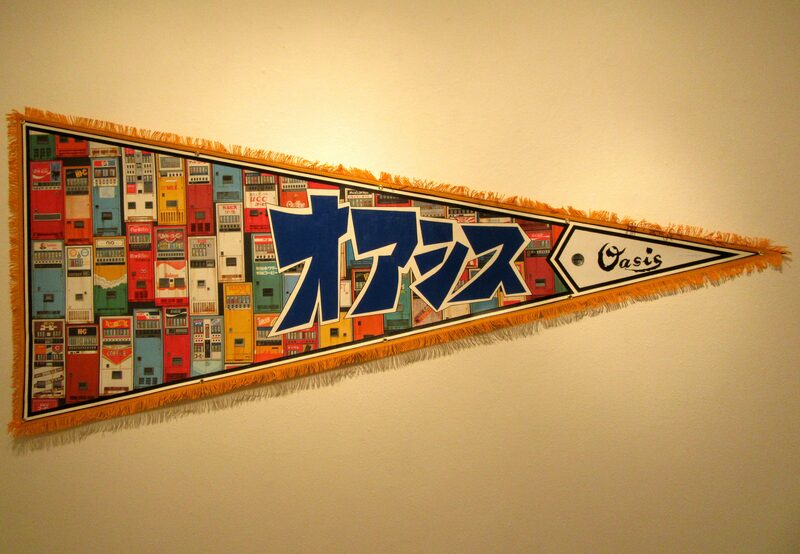 This is Sashie’s second solo exhibition at the gallery, and I somehow neglected to write about his first show, so I didn’t want to fail twice at sharing a series of artworks that is really special. In a body if work that will surely appeal to fans of dystopian sci-fi. 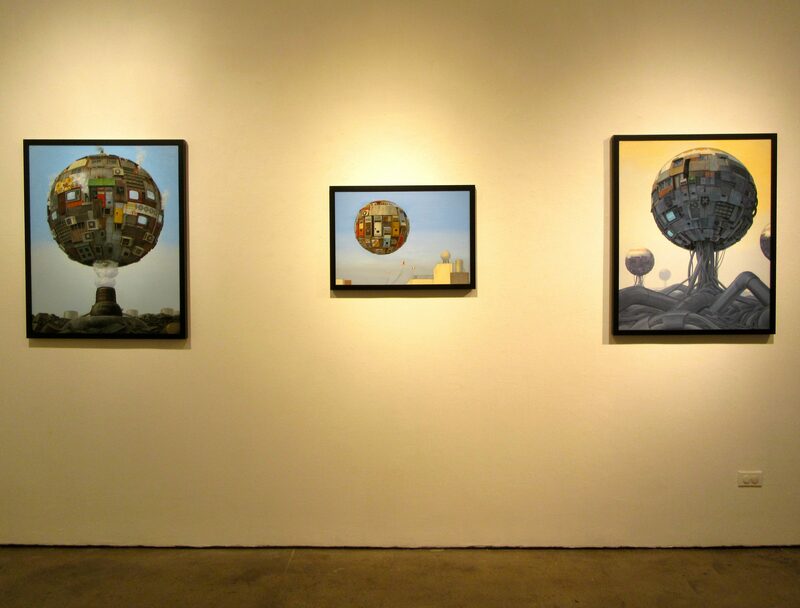 Sashie’s hyperreal 0il paintings and sketches depict a post-apocalyptic world, or series of worlds. 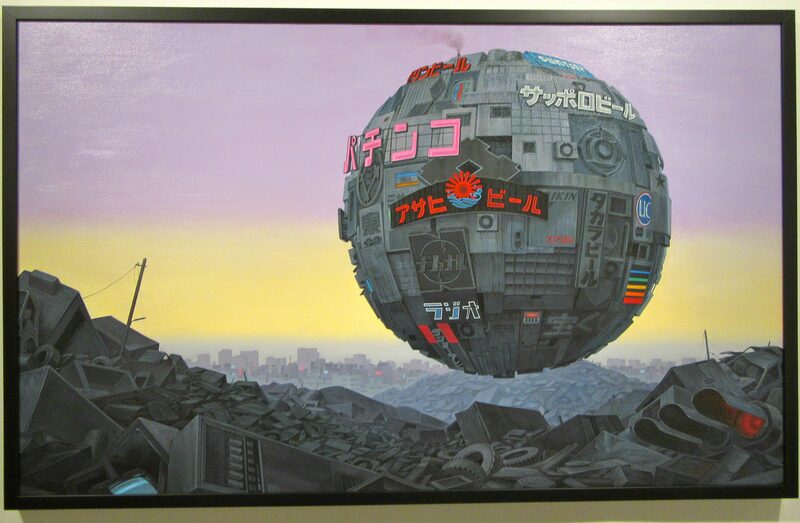 The bleak visions of a future that is also trapped in the past analyze the influence of technology on the circle of life. 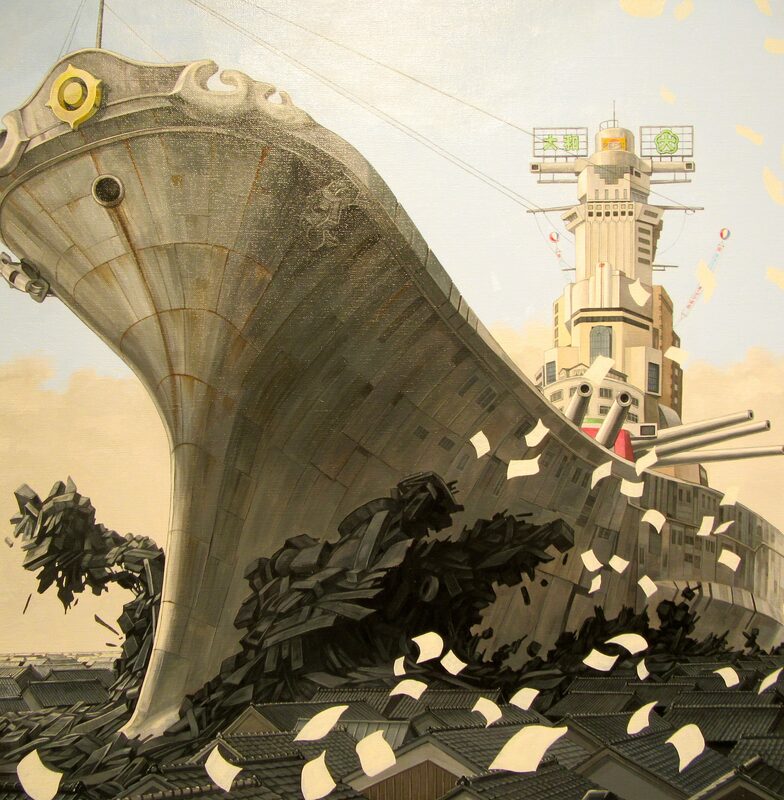 The level of detail in these paintings is extraordinary. 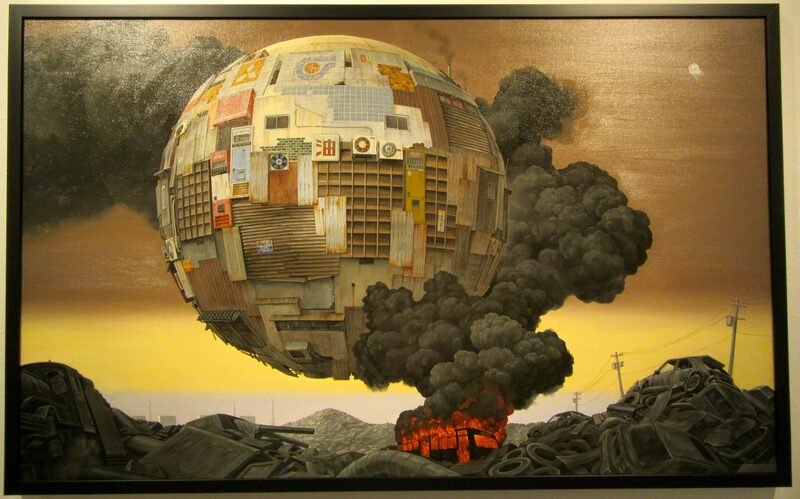 Modeled after Kanazawa, the town he was born and continues to reside in, Sashie’s landscapes resemble landfills – capsized by burning vehicles, antiquated technology and an overwhelming amount of man-made debris. 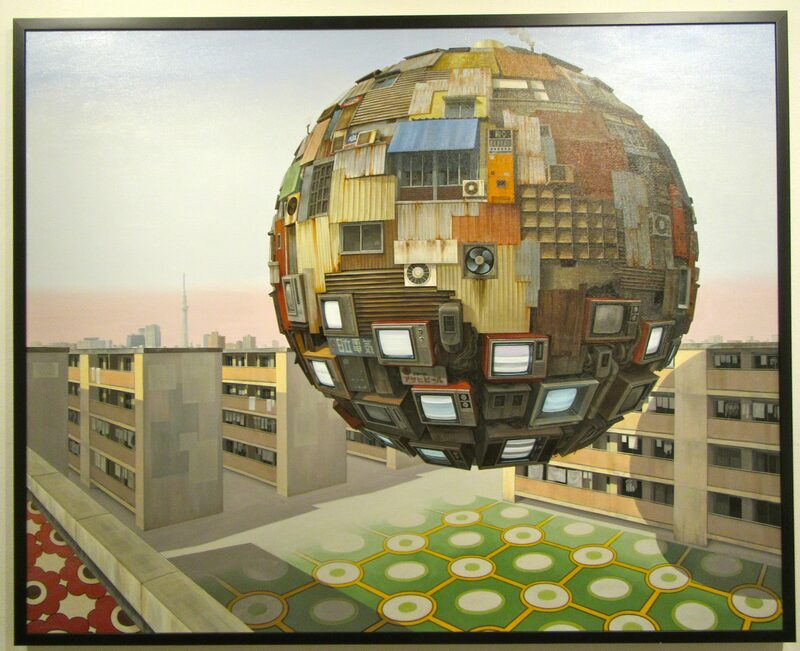 Massive orb-shaped amalgams of industrially manufactured products are the focal point of every piece, hovering over desolate cityscapes, drawing attention to the paradox of the vastness of the universe yet the finite amount of space mankind has to exist. 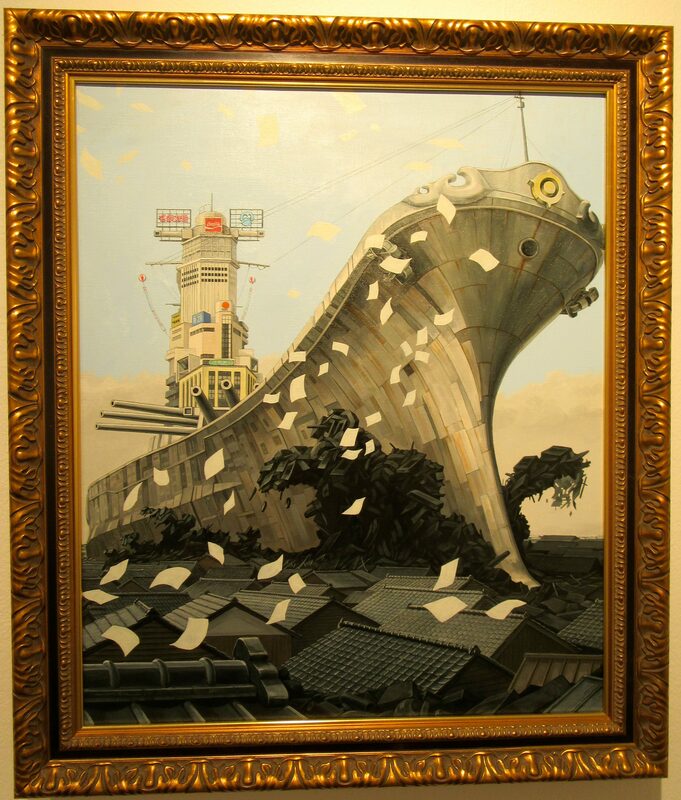 Kanazawa is a small city in Japan that the artist describes as a miniature garden in which the obsolete and contemporary are fused due to its distance from an urban center. Growing up within this isolation nurtured Sashie’s fascination with the notion of “the balanced aquarium,” a concept described by Nobel Prize winner Konrad Lorenz in his book King Solomon’s Ring: New Light on Animal Ways (1949). Lorenz describes an aquarium as a self-sustaining environment depending solely on the natural interactions between plants and other living organisms for survival. Once outside involvement occurs, balance is lost and disintegration immediately begins. The artist considers Lorenz’s biological phenomenon as the epitome of the world we live in; struggling to maintain stability among the complexities and demands of modern living. 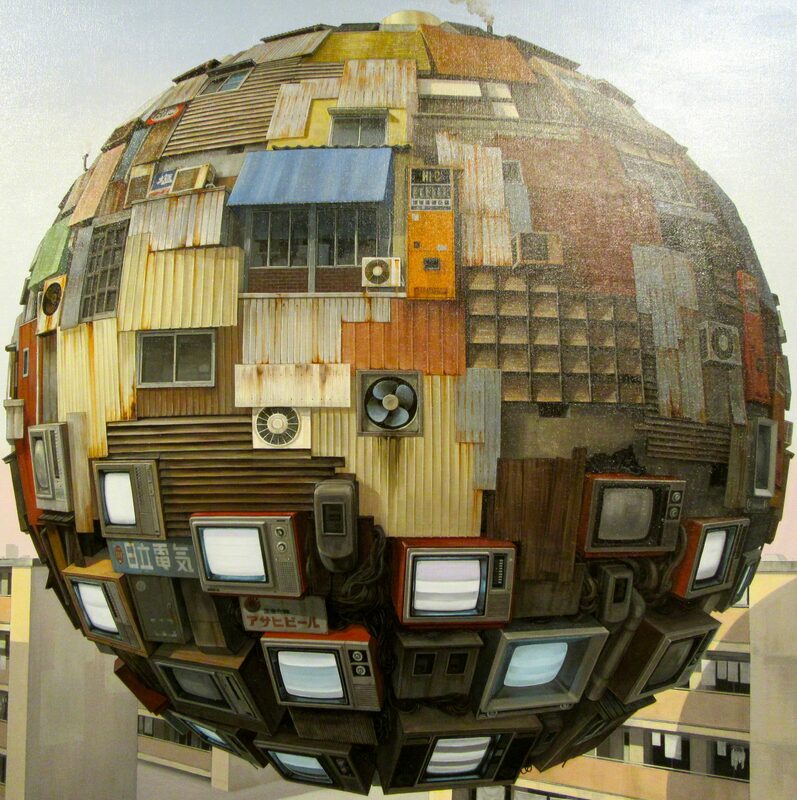 Revolving around themes of consumerism, globalism and environmentalism, Masakatsu Sashie’s self-contained environments are an archive of the past and a prediction of our future. 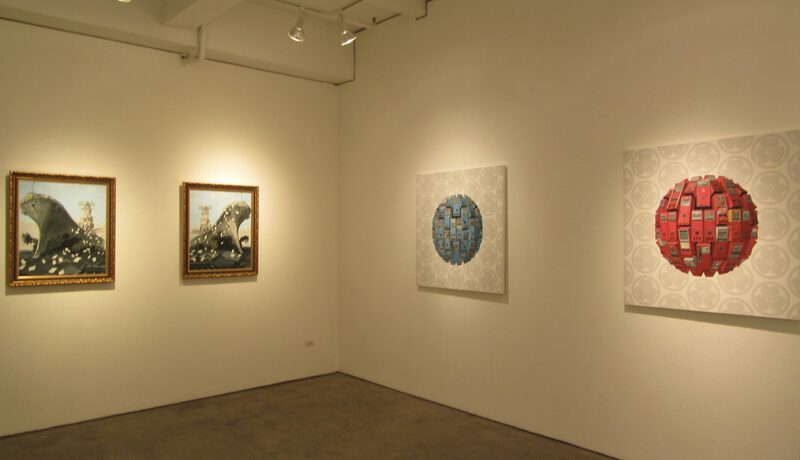 Masakatsu Sashie’s External Effect will be on Exhibit Through November 12th, 2016 at Jonathan LeVine Gallery, Located at 529 East 20th Street, 9th Floor, in the Chelsea Gallery District.